Adbeg's limited release, Ardbeg Grooves, will first be made available to Ardbeg Committee members outside the U.S. at a higher proof. New whisky abounds from all across America this week—plus a couple of scotches. First up, Ardbeg’s annual limited-edition bottling has been revealed. Ardbeg Grooves includes whisky matured in red wine barrels with heavily charred, grooved staves, which allow for increased wood contact. 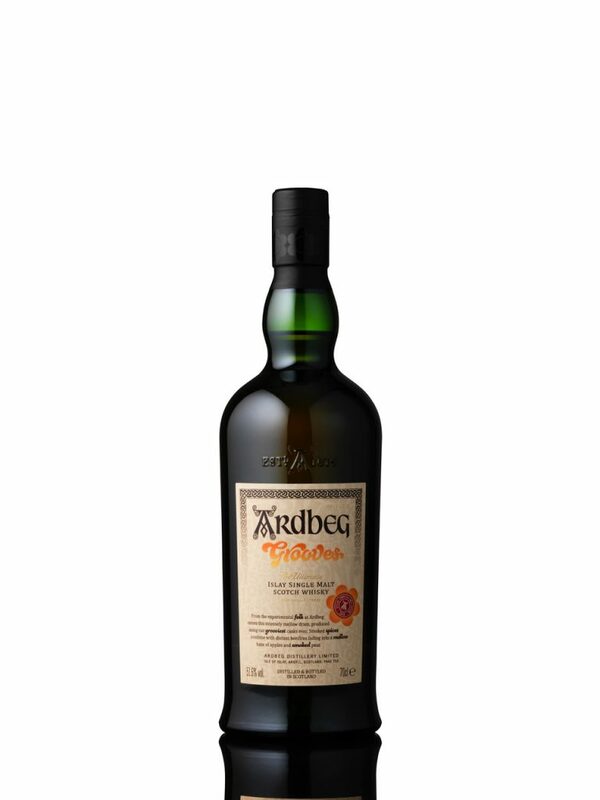 As in years past, the whisky is first available to Ardbeg Committee members outside the U.S. at a higher proof, with a 46% ABV version rolling out to coincide with Ardbeg Day (this year on June 2nd). Several new craft whiskeys are launching. 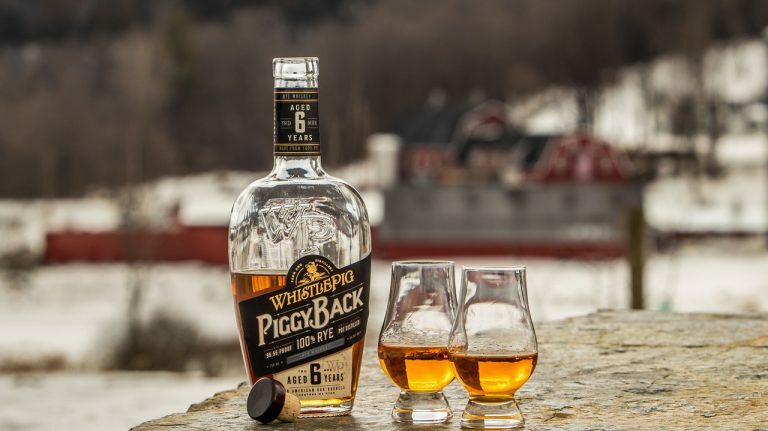 Colorado’s Woody Creek Distillers is debuting its first bourbon, a 4 year old whiskey that will be widely available wherever Woody Creek is sold. Also four years old: a new bottled in bond rye whiskey from Spirit Works Distillery in Sebastopol, California. We tip our hats to craft distillers that can release 4 year old whiskey! Not yet 4 years old, but still on theme: Pennington Distilling Co. in Nashville has a new “four-grain” whiskey that blends its bourbon, rye, and Tennessee whiskey, each of which has been aged for at least three years. The four grains refer to corn, wheat, rye, and malted barley, which are each found in at least two of the three component whiskeys. Meanwhile, J. Rieger & Co. in Kansas City is releasing its 2018 Rieger’s Monogram whiskey, a special edition that changes from year to year. In its second release, the whiskey (a blend of sourced light corn whiskey and rye) uses Rieger’s rare bota barrels from the Williams and Humbert sherry bodega in Spain, incorporating a complex fractional blending and finishing process. 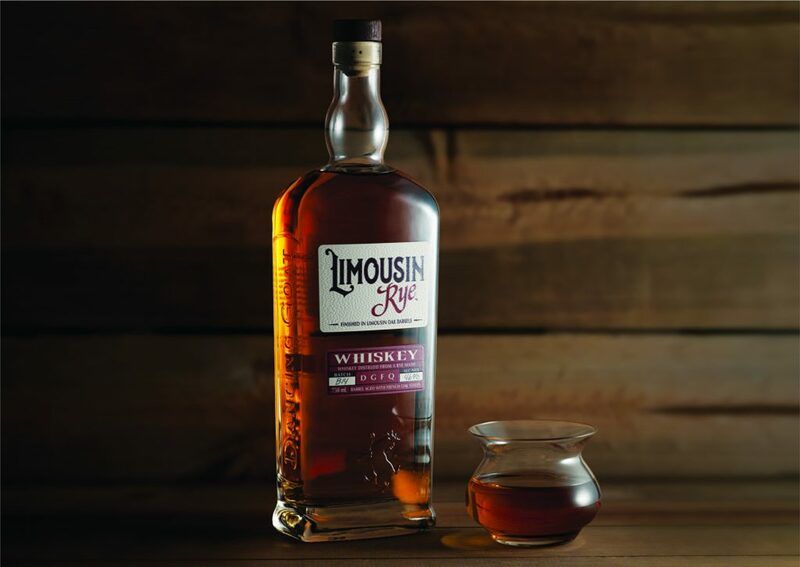 Dancing Goat Distillery in Cambridge, Wisconsin has unveiled Limousin Rye, a whiskey distilled from rye mash. The batched product, which is over 3 years old, is aged in used American oak and new French oak barrels, and finished in a Limousin oak solera. Doc’s Wine, Spirits & More in Memphis is launching its own line of whiskeys; the first is a single barrel sourced from an undisclosed Tennessee distillery. Future releases will include both single barrels and blends of whiskeys from different distilleries. 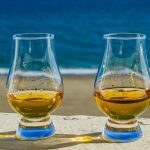 Finally, Douglas Laing & Co. in Scotland has a new series of independently bottled single malts celebrating Scotland’s “whisky islands.” The first, a 10 year old Bunnahabhain, is available now, but only outside the U.S. Read on for full details. 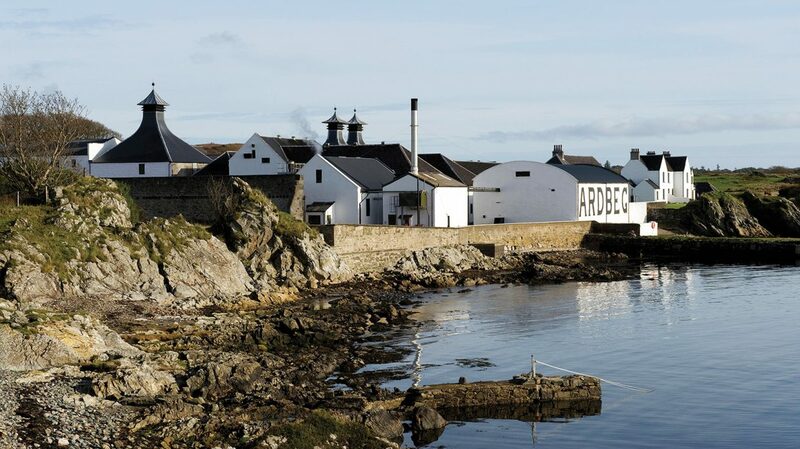 Every year, Ardbeg releases a special-edition whisky for “Ardbeg Day,” the last day of Islay’s Festival of Malt & Music (Fèis Ìle), which this year falls on June 2nd. Ardbeg Grooves—which deliberately calls to mind the swingin’ ’60s—includes whisky matured in ex-wine casks that were heavily charred to form indentations (“grooves”) in the wood. As usual, the whisky will be offered at two ABVs: cask strength (51.6% ABV) for Ardbeg Committee members (available outside the U.S. and on-site at the distillery on Ardbeg Day), and 46% ABV (for sale in the U.S. starting in June). 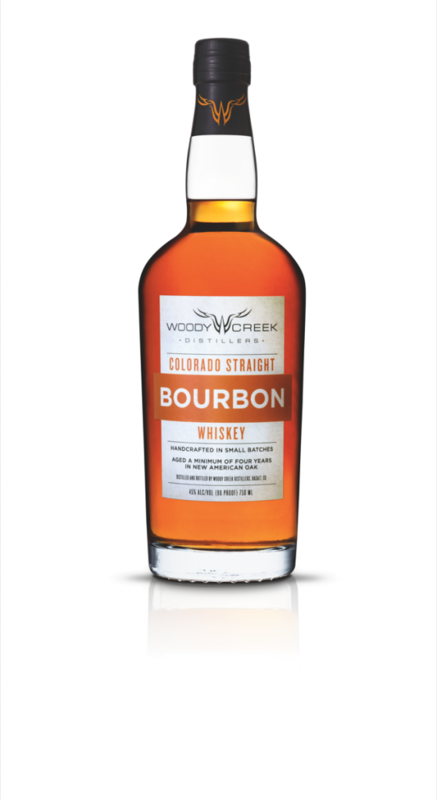 Woody Creek Distillery in Basalt, Colorado is releasing its first straight bourbon. 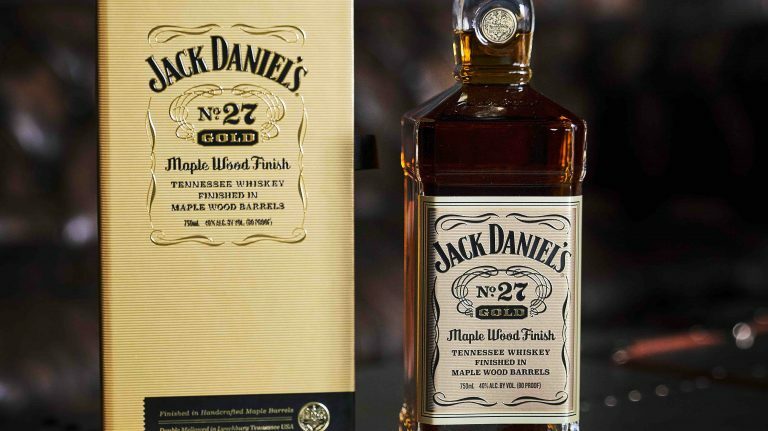 Aged for at least 4 years, according to the label, the whiskey is made with 70% Colorado corn, with the remaining 30% comprised of Colorado rye, wheat, and barley. It’s always exciting to see a craft distiller release a whiskey that has at least four years of age on it. While younger whiskeys can be just as tasty as those aged for longer period of time, four years is a great benchmark to celebrate. At 4 years old, a straight whiskey no longer has to include an age statement on its label. 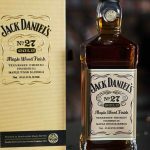 (A whiskey is “straight” at 2 years old and if it meets certain criteria, but between 2 and 4, the age must be stated.) Woody Creek also makes a straight rye, aged for two years, that scored 85 points in our Fall 2017 Buying Guide. Pennington Distilling Co. in Nashville has unveiled its second release, following last fall’s Davidson Reserve Rye Whiskey. 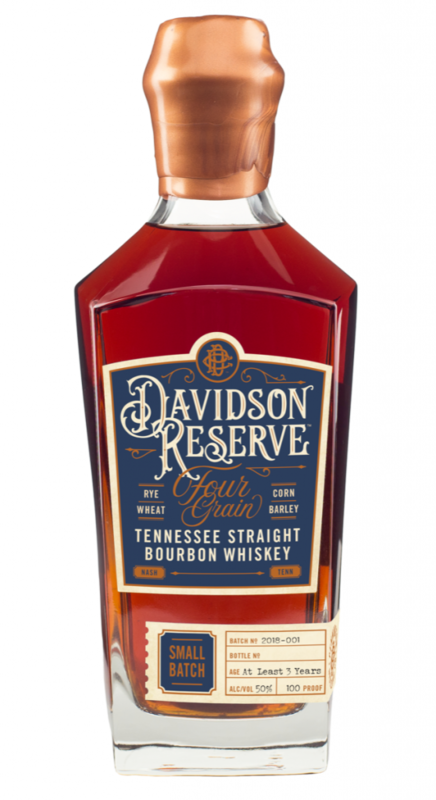 Davidson Reserve Four Grain blends Pennington’s Tennessee whiskey, bourbon, and rye, each of which is aged for at least three years. The “four grains” are corn (used in the bourbon and Tennessee whiskey), wheat (used in the bourbon), rye (used in the Tennessee whiskey and rye), and malted barley (used in the bourbon and rye). Each straight whiskey is aged separately before being blended together. 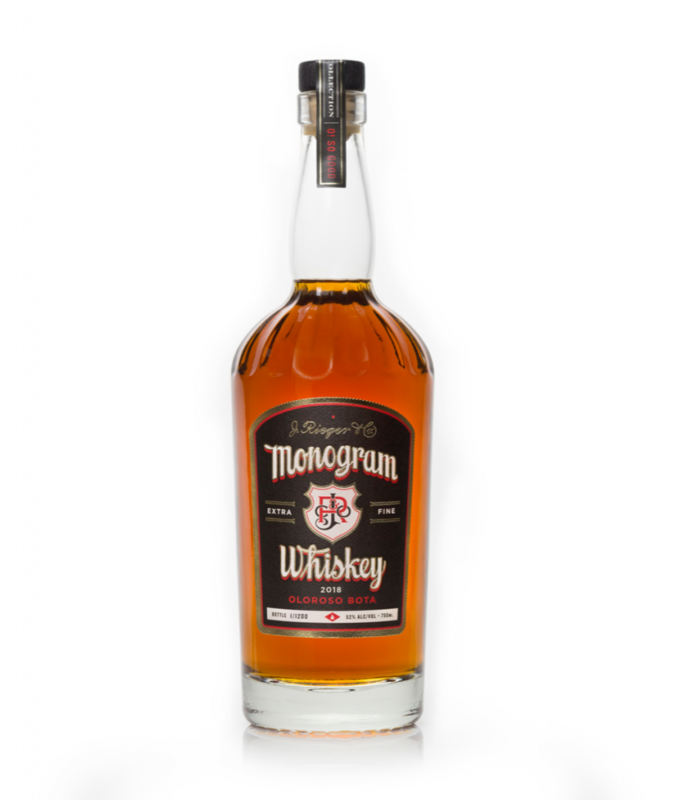 Pennington plans to make this Four Grain whiskey a regularly available release, although each batch’s blend will vary. This first batch used ten barrels. The distillery uses full-size (53-gallon) barrels to age its whiskeys and distills them all in a 500-gallon pot still. Availability: 1,200 bottles in AR, CA, CO, DE, GA, IL, IN, KS, KY, LA, MD, MN, MO, NE, NJ, NY, PA, TX, WI, and Washington, D.C.
J. Rieger & Co.’s flagship Kansas City Whiskey blends in sherry—a practice that’s legal if the amount is less than 2.5% and the whiskey is not labeled “straight.” It’s no surprise, then, that the distillery’s special-edition release would also include sherry influence, this time from botas, very old sherry solera casks that rarely get used for whiskey maturation. As noted, Rieger used the botas for its inaugural Monogram release last year as well; read more about what makes them special here. Availability: IL, MI, MN, WI, and Washington, D.C.
Cambridge, Wisconsin’s Dancing Goat Distillery has launched its first product, a rye whiskey aged in both “vintage American oak” and new charred French oak barrels, then finished in a solera made of recharred Limousin oak port barrels. This first batch is being bottled at 46% ABV, but future releases may have a different proof as the distillery’s goal is to create a certain flavor profile without necessarily being constrained by a target proof. 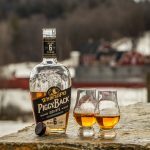 While 3 years and 7 months isn’t a very long aging time for many whiskeys, it’s unusual to see a craft distillery launch with a product that’s seen so much time in barrel. Most new distillers have to sell the whiskey after a shorter aging period in order to gain some cashflow. Dancing Goat Distillery, however, was founded by Travis Hasse, Nick Brady Maas, and Tom Maas. Hasse has another business making flavored liqueurs, and Tom is the founder of a little brand you may have heard of called RumChata. Seems likely that these co-founders could afford to wait until they felt the rye had reached maturity. By the way, the whiskey is not a true rye because of its aging in “vintage American oak,” aka used barrels. Rye whiskey must be aged in new charred oak only. 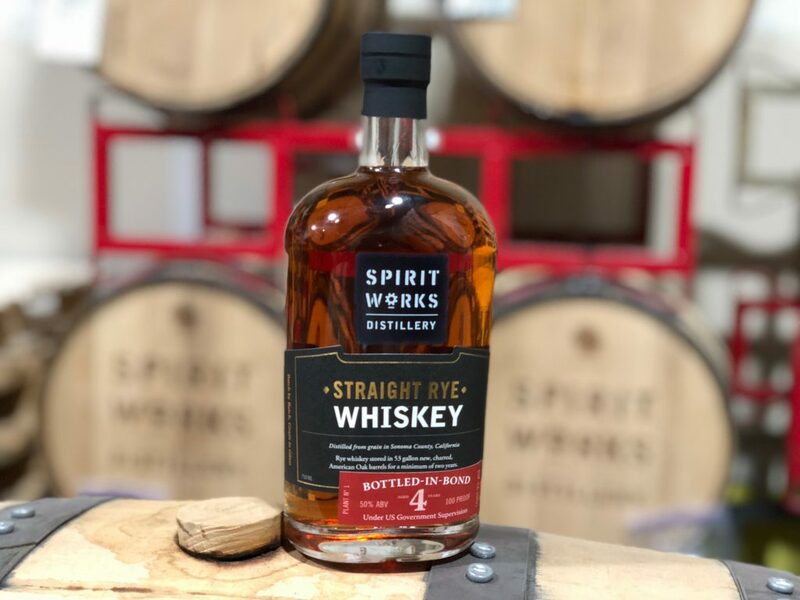 Spirit Works Distillery has unveiled its first bottled in bond whiskey, a straight rye. The whiskey aged for four years in Spirits Works’ bonded warehouse, which is tucked behind the distillery in downtown Sebastopol, California. Better known for its gins, Spirit Works also makes wheat whiskey and rye. While just 250 bottles of the bonded rye are being launched right now, the distillery is able to release more as needed, and may expand distribution to New York later in the year. “We’ve got plenty of barrels of it!” says co-founder and brand director Ashby Marshall. Doc’s Wine, Spirits & More in Memphis is creating its own brand of whiskey. This first release is a single-barrel bourbon made at an undisclosed distillery in Middle Tennessee (any guesses? ), made of 84% corn, 8% malted barley, and 8% rye. Retailer-exclusive barrel picks aren’t new, but Doc’s has big plans for its line of bourbons and whiskeys. In addition to this 9 year old, the store will release other single-barrel offerings, and it also plans to blend similar barrels with high-corn mashbills with high-rye bourbon from MGP Distillery starting this fall. Availability: 383 bottles; not available in the U.S. 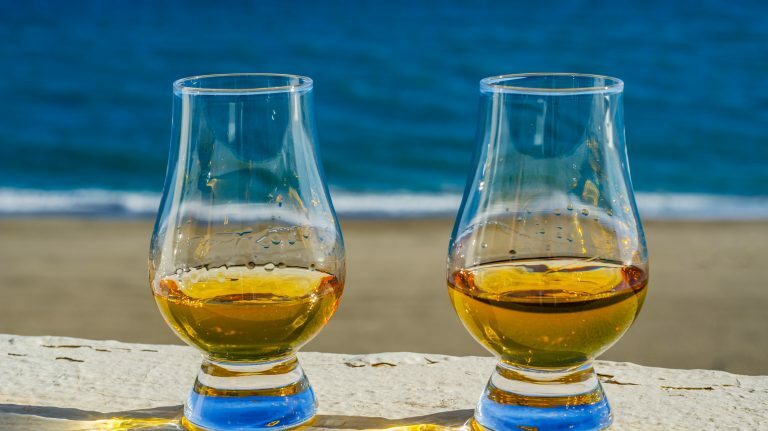 The Coastal Collection is a new, four-part series of single casks from Douglas Laing & Co. that celebrates Scotland’s “whisky islands” and the seas that surround them. The first release, a 10 year old Bunnahabhain, was aged in a refill hogshead and bottled with no added coloring or chill-filtration. 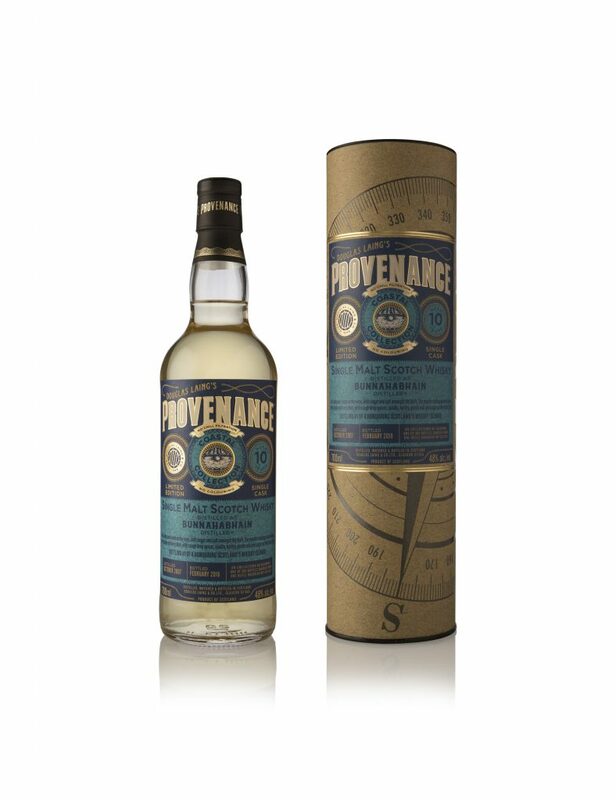 Douglas Laing’s Provenance range focuses on the unique characteristics of whiskies from specific places. Many Douglas Laing bottlings are available in the U.S., but unfortunately this is not one of them. Plus, the 2019 release of Blade & Bow 22 year old bourbon is hitting shelves, and Compass Box has a new product that isn’t actually whisky.